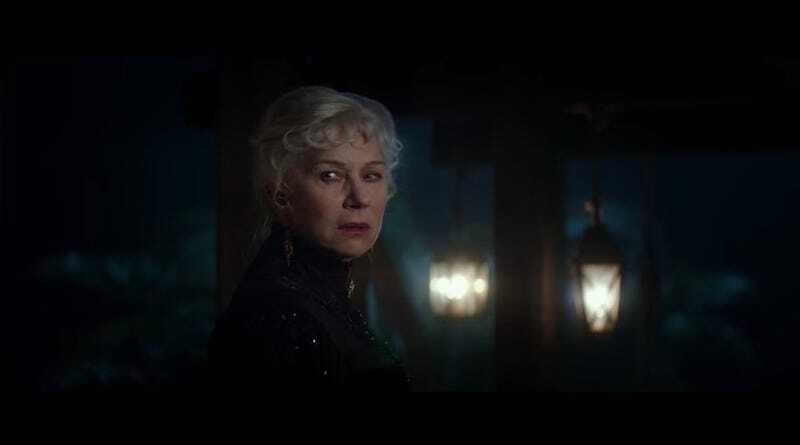 After dropping its first teaser just in time for Halloween, the Dame Helen Mirren-starring haunted house thriller Winchester now has a full trailer that fleshes out its story a little bit more. Looks like Jason Clarke’s skeptical character will have to rethink his “ghosts ain’t real” attitude before act one is over. While the last thing the world needs is another spooky-kid movie, at least Winchester—based on the twilight years of firearm heiress Sarah Winchester, who believed troubled spirits were guiding the endless construction of her California mansion—has a cool historical backstory, not to mention Mirren’s formidable presence to lend it some extra heft. Winchester, directed by the Spierig Brothers (Daybreakers, Predestination), is out February 2.